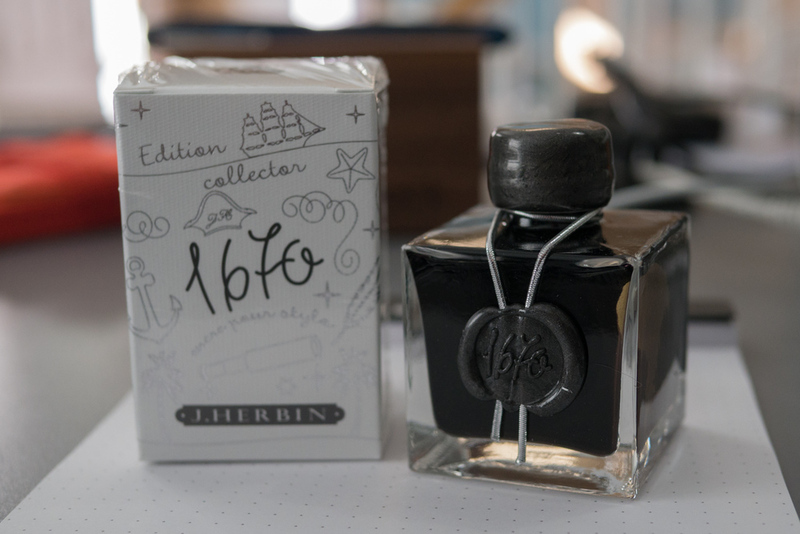 A big thank you to everyone who entered my J. Herbin Stormy Grey Ink giveaway. The random number generator came back with entry number 79, and row number 79 in my Google spreadsheet belongs to Millicent Roberts. Congratulations, Millicent! You should have an e-mail from me to get the ball rolling on shipping, but you can also reach me via the contact page if needed. I really appreciate all of the great feedback and suggestions I received in the entry surveys. It was a wonderful mix of validation of what I am already doing and new ideas for how I can make the site better. On a final note, J. Herbin Stormy Grey is getting a little easier to track down. As of this writing, it is back in stock at Goulet Pens in both full bottle and ink sample options. So, if you're number didn't come up with the giveaway, it's worth taking a look around.